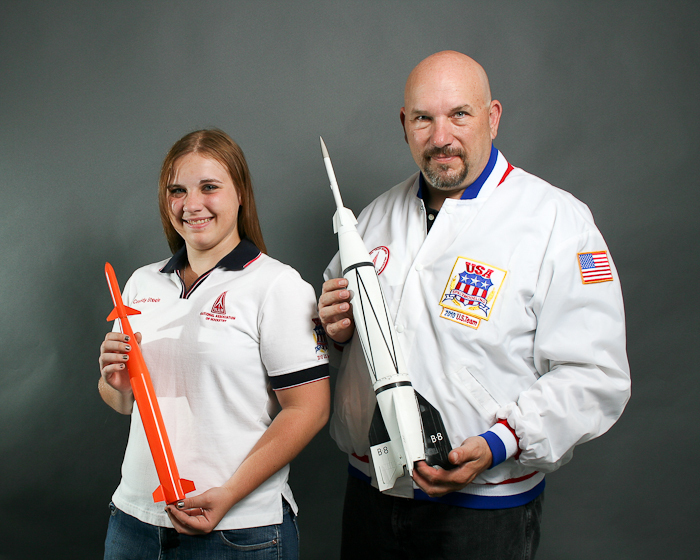 The 18th Model Rocket World Championships brings the best rocketeers to compete for championship medals. Team Steele will be flying in the Scale and Scale Altitude events, where models of real rockets are judged on their likeness to the real thing. Cassidy Steele (left) will represent the US Junior Team in Altitude and Scale Altitude; Matt Steele (right) will fly the same events for the Senior Team. The meet is August 31-Septmber 9, 2012, and over 20 countries attend, including, Russia, China, Japan, Germany, and Canada. To help defray our expenses, you can make a tax-deductable donation to: www.TeamSteele.org - Thank you!